European phone roaming charges will be capped as of July 1 this year, the European Parliament decided on Thursday, saving business travelers an estimated &#8364;1,000 (US$1,300) each year, the Digital Agenda for Europe said. The agreement to lower the roaming costs in the E.U. was adopted 578 votes to 10, and will replace a 2007 regulation that expires at the end of June, the European Parliament (EP) said. The new caps reduce the costs for phone calls and SMS messages for Europeans traveling abroad. The current maximum cost of a one-minute call will drop from &#8364;0.35 to &#8364;0.29 from July and will be further reduced to &#8364;0.19 as of July 2014. Text messages will also be cheaper, with the current maximum price falling from &#8364;0.11 to &#8364;0.09 per message this year, dropping further to &#8364;0.06 in 2014. Mobile data will be capped at &#8364;0.70 per megabyte and will fall in stages to &#8364;0.45 in 2013 to reach a maximum of &#8364;0.20 per megabyte in 2014, the EP said. That is a significant drop, since there is currently no limit to prices the operators can charge for mobile data, clients are likely to pay at least &#8364;2 per megabyte of data consumed when roaming. According to European Commissioner Neelie Kroes' Digital Agenda, a typical businessperson traveling in the E.U. will save more than &#8364;1,000 a year, while a family taking an annual holiday on average will save at least &#8364;200, although those figures can vary from country to country. Kroes said in a statement that she is glad to have "ended the rip-offs familiar to anyone who has used a mobile phone by traveling abroad." By adopting the new regulation, the EP aims to open up the roaming market and increase competition by enabling clients to buy roaming services from other vendors besides their home suppliers. Consumers will be allowed to switch operators while keeping the same phone number. 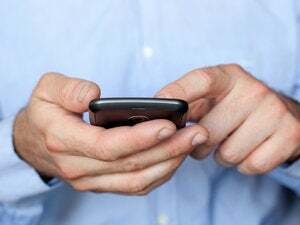 Virtual mobile network operators will also get the right to provide roaming services by accessing other operator's networks at wholesale prices, further enhancing competition, the EP explained. There will also be an alert system implemented to prevent "bill shock." "As from 1 July 2012, people will get a warning message when they approach 50 Euros of charges in a month (excluding VAT), if the foreign network is compatible," the EP said, adding that these warnings will be extended to cover people traveling outside of the E.U. The new rules still have to be formally adopted by the Council of Ministers in June, but the Council already agreed to adopt the regulations, the EP said. After the new rules are formally adopted they will apply in all E.U. states. The new regulations were welcomed by the Citizens Initiative for Fair Roaming. However, the organization observed that roaming prices could have been slashed even more than under the EP plan and that it got about 80 percent of what it called for with the new regulations.